[Microblog] Bridge Pose & "The Glutes"
I promise this is a post about yoga, even though I'm at a gym and using a weight in this video! Think for a moment about bridge pose in yoga, which involves lifting your hips up away from the floor (i.e. active hip extension). So often in yoga we hear the cue to "soften" or "relax" our glutes when we're in bridge pose. But this is a holdover old alignment cue that isn't really informed by movement science. In this video, I'm doing a gym move called the "hip thrust". I'm lifting my hips up away from the floor (just like in yoga's bridge pose, right?! ), but do you know what the purpose of doing this movement is in the gym world? It's to *strengthen the glutes"! That's right - because the glutes are the main muscles that are challenged in this movement! It's normal and healthy for them to work a LOT here. If an exercise like the hip thrust was designed specifically to strengthen the glutes, does it make sense that in yoga we *discourage* our students from using their glutes in bridge pose, an extremely similar movement kinematically? Sometimes in the yoga world we could use to step back and examine the reasonings behind some of the cues we give. Are they informed by the science of how we move, or are they just inherited cues we teach simply because that's what was taught to us? 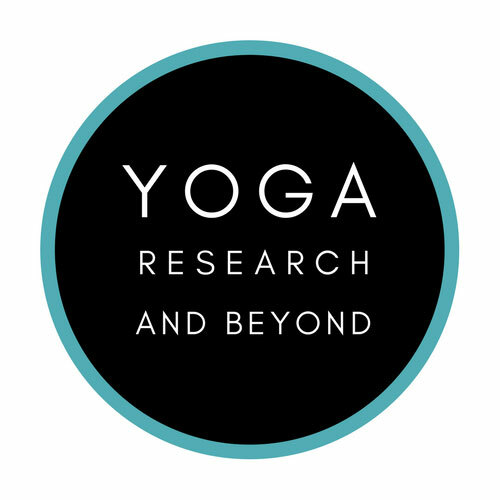 You can start modernizing your yoga teaching with my new online course called *Keeping Your Yoga Teaching Current*. 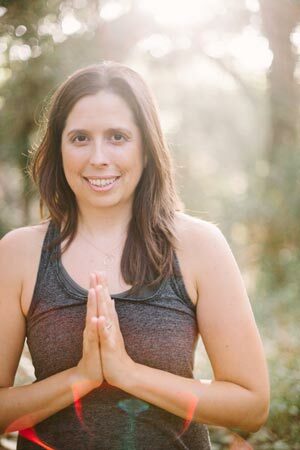 Learn to shed the many outdated myths about the body that hold us back in the yoga world and embrace effective, new-paradigm approaches to mobility, asana, and movement that are truly evidence-based! On the heels of my recent article on backbends for Yoga International (!! ), I thought I would share this quick video on some tips for addressing low back pain in upward facing dog (urdhva mukha svanasana). How many yogis do you know who have complained about back pain/tweakiness/discomfort in this pose? (I know a lot!) If you work to integrate the tips in this video into your up dog practice, you should find yourself moving much closer to a shape that embodies the all-important "arches not angles" principle that I discuss in my YI article. And remember - because up dog is often taught quickly and frequently (sometimes up to 50 times!) in a single yoga practice, it has the tendency to become an unhelpful pose for your body due to its inherent repetitiveness. It is much better to practice just a few up dogs which are mindful and well-aligned than a gazillion up dogs which are poorly organized. I hope you find this video helpful for yourself and your students. As always, if you have any questions, just let me know! Addressing Low Back Pain in Yoga's Up Dog w/Jenni Rawlings from Jenni Rawlings on Vimeo. See also The Complete Guide to the Vinyasa: An Online Tutorial. I am sooo thankful to have published a second article in Yoga International! It's all too easy to do backbends in a way that will make your spine mad at you :), and I hope this article will provide lots of helpful info for how to approach these poses in a way that will offer true positive change in your body. Thanks so much for reading, guys! In other news, I'm working on a new series of posts for my blog on shoulder mechanics in yoga. I haven't written specifically about the shoulders here yet, so I'm hoping that these posts will help fill in some missing info on this important area of the body. Stay tuned for this and more great movement info to come!